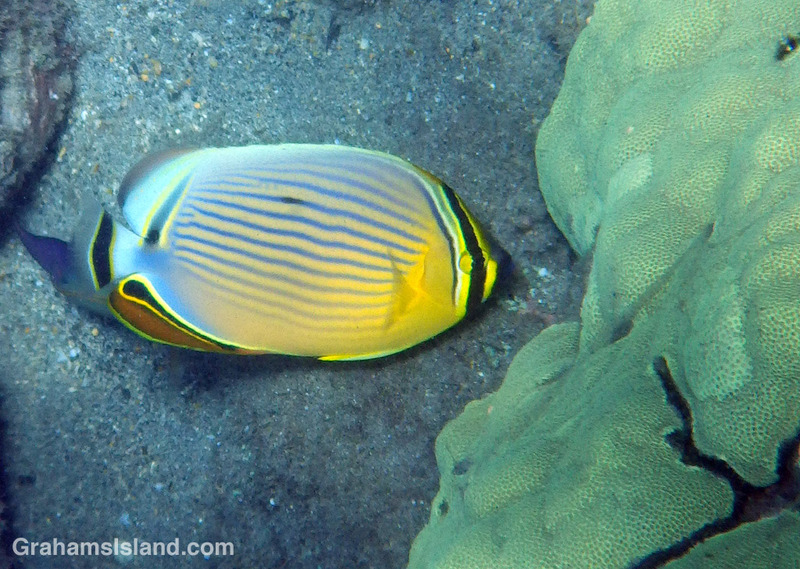 A brightly-colored oval butterflyfish grazes on polyps of living coral head. Since this is almost the only thing they eat, it makes them unsuitable for keeping in home aquariums. In my attempts to identify what I see in the water, I use John P. Hoover’s book The Ultimate Guide to Hawaiian Reef Fishes, Sea Turtles, Dolphins, Whales, and Seals. His website is hawaiisfishes.com.